When Huda meets Hadi, the boy she will ultimately marry, she is six years old. Both are the American-born children of Iraqi immigrants, who grew up on opposite ends of California. Hadi considers Huda his childhood sweetheart, the first and only girl he's ever loved, but Huda needs proof that she is more than just the girl Hadi's mother has chosen for her son. She wants what many other American girls have--the entertainment culture's almost singular tale of chance meetings, defying the odds, and falling in love. She wants stolen kisses, romantic dates, and a surprise proposal. As long as she has a grand love story, Huda believes no one will question if her marriage has been arranged. But when Huda and Hadi's conservative Muslim families forbid them to go out alone before their wedding, Huda must navigate her way through the despair of unmet expectations and dashed happily-ever-after ideals. Eventually she comes to understand the toll of straddling two cultures in a marriage and the importance of reconciling what you dreamed of with the life you eventually live. 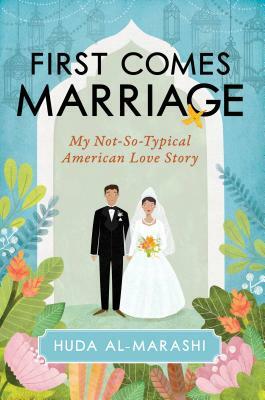 Tender, honest and irresistibly compelling, First Comes Marriage is the first Muslim-American memoir dedicated to the themes of love and sexuality. Huda and Hadi's story brilliantly circles around a series of firsts, chronicling two virgins moving through their first everything: first hand holding, first kiss, and first sexual encounter. First Comes Marriage is an almost unbearably humanizing tale that tucks into our hearts and lingers in our imagination, while also challenging long-standing taboos within the Muslim community and the romantic stereotypes we unknowingly carry within us that sabotage some of our best chances for finding true love. Huda Al-Marashi currently lives in Encinitas, California, with her husband and three children. Her writing has appeared in the Washington Post, the LA Times, Al Jazeera, the VIDA Review, the Offing, and elsewhere.